According to the officials, two to three terrorists are believed to be trapped inside a house in Shopian. 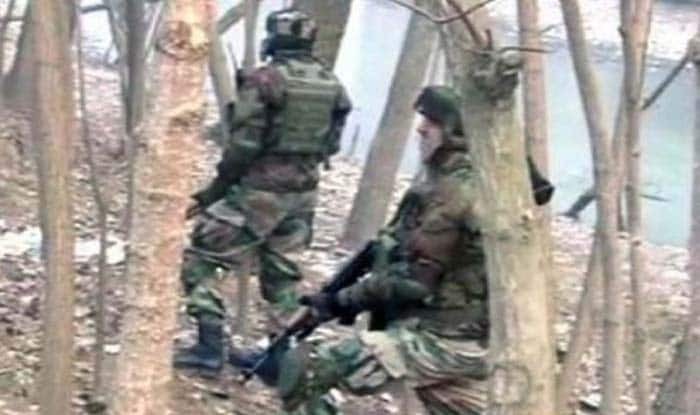 Shopian: At least one terrorist has been neutralised in the encounter which is currently underway between terrorists and security forces in the Imam Sahib area of Jammu and Kashmir’s Shopian district. Firing is going on from both sides. Earlier today, officials said two to three terrorists are believed to be trapped inside a house in Shopian. On Thursday, at least two civilians were held hostage by terrorists during an encounter in Bandipora’s Hajin area. Of the two, one civilian was rescued safely while efforts were on to rescue the other civilian, as last stated by the Jammu and Kashmir police. In another encounter on March 11, three terrorists including the mastermind of Pulwama terror attack Mudasir Ahmed Khan alias ‘Mohd Bhai’ was killed in an encounter with security forces in Tral town of south Kashmir’s Pulwama district. Khan was the ‘brain’ behind the ghastly terror strike in Pulwama that left 40 Central Reserve Police Force personnel martyred on February 14. A huge cache of arms and ammunition were also recovered from the possession of slain terrorists. As per reports, the house in which the militants were hiding was destroyed in the operation by the security forces. On March 7, a militant was gunned down by security forces in a brief exchange of fire in Kralgund, Handwara. Internet services were snapped in the area at that time. A Cordon and Search Operation (CASO) had been launched at Banderpayee, Handwara, north Kashmir on Wednesday evening on a specific tip-off about the presence of militants. After a brief exchange of fire, the area was cordoned off and searches were launched. A similar encounter took place on March 5, between security forces and terrorists in Tral. Two terrorists had been killed in the encounter.